Fiat has taken the wraps off the Argo-based Cronos sedan for South American markets. The Fiat Cronos is expected to go on sale in Brazil early next year. Replacing the Fiat Linea, the Cronos will battle it out with the VW Virtus. The Fiat Cronos is based on the Fiat Argo hatchback. It features a nearly identical nose with only subtle differences in the bumper and grille design. Visually, the nose section of the Fiat Cronos sets itself apart from the Argo with the help of a different grille featuring a single chrome louver and a finer mesh. The bumper is different too with wedge-shape fog lamp enclosures and chrome applique along the upper edge of the air intake. The hood and the headlamps with their eyebrow-like LED DRLs have been borrowed from the hatchback. At the back, the tail lamp design and the LED graphics mimic that of the hatchback. The lower section of the bumper is finished in black, which helps mask some of the bulk at the rear. The sedan derivative of the Fiat Argo is shod with tow-tone 10-spoke alloy wheels. 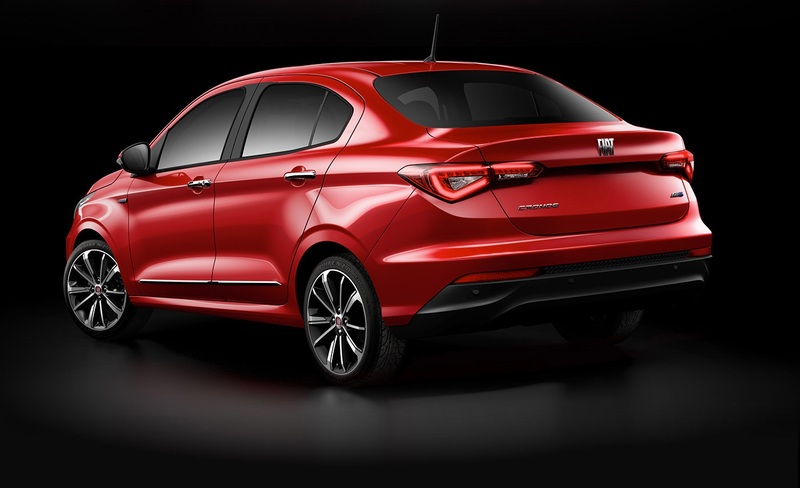 The Fiat Cronos will not get the donor hatchback's 1.0 L Firefly engine. Only the 1.3 L Firefly and 1.8 L E.torQ engines will be available. 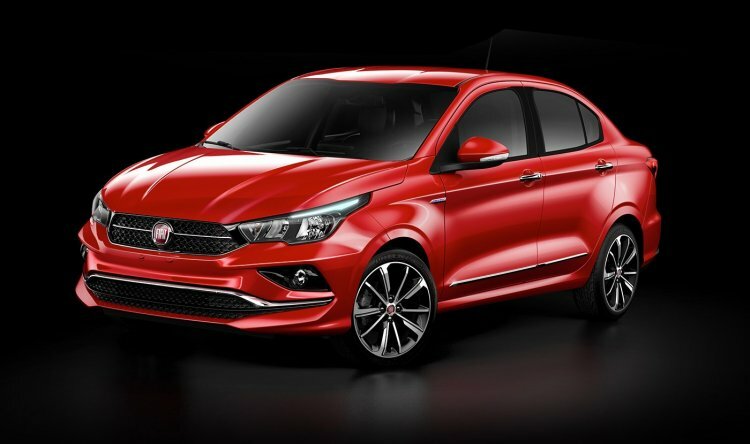 The Drive variant of the Fiat Cronos will be equipped with a 1.3 L Firefly engine producing 101 hp at 6,000 rpm and 13.7 kg.m at 3,250 rpm running on gasoline. On ethanol, power output goes up to 109 hp at 6,250 rpm and torque to 14.2 kgfm at 3,500 rpm. An E.torQ 1.8 L petrol powers the Precision variant. It delivers 135 hp at 5,750 rpm and 18.8 kg.m at 3,750 rpm when driven by gasoline. The use of Ethanol ups power to 139 hp at 5,750 rpm and torque to 19.3 kg.m at 3,750 rpm. Both engines feature a 5-speed manual while the 1.8 L engine is also available with a 6-speed automatic.